One of the first things I ever implemented for Roche Fusion - in fact before we even officially started the project - was a shield for the player. That shield was essentially a round sprite that was mostly opaque on the outside and faded out to the inside. 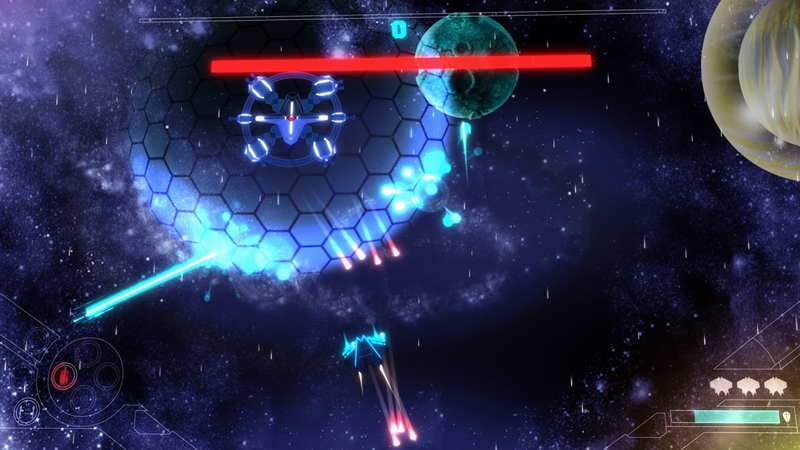 The lower the health of the ship, the higher the opacity of the shield would be to warn the player of their impending doom. Not terrible. But also not terribly pretty. Several months ago I decided that I had enough of ugly shields and set out to design and implement a better system. Flicker more and more, the lower we get to zero health. The pretty pattern and flickering are pretty trivial, using a texture with a hexagonal pattern, and some random transparency flickering that increases when health drops. What I could have done was draw a sprite that is only part of a shield in one direction for each hit, rotated in the right way. However, that only works if the number of hits per second is fairly limited. Further, overlapping sprites may look strange or even just bad. 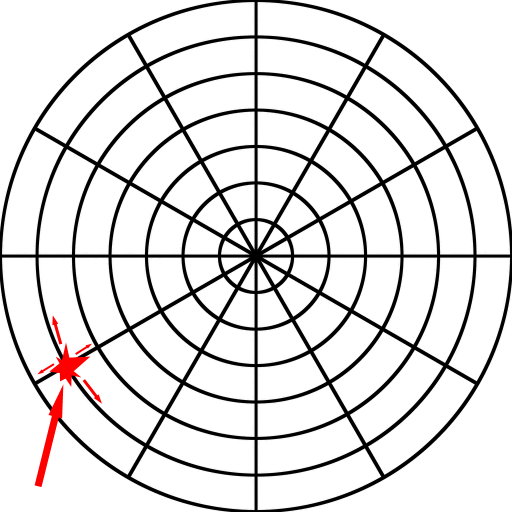 Each intersection in this graph is a point for which I start how opaque (non-transparent) it is. When we are hit from a certain direction, I find the point closest to it, and make it very opaque. Then, every frame I go over the entire grid and apply a weighted average filter to each element and its neighbours. In technical terms, I convolute it with a simple triangular kernel. The weights do not sum up to 1, so over time (not that long really, just a few split seconds), the shield goes back to being transparent. I then create one vertex for each point giving it the point's transparency, and connect them with quads, just like in the image. While I am at it, I do not just make it a flat disk of shield-geometry, but give it a bit more of a hemispherical shape to make it look more 3D. And here is a screenshot I made just the other day while giving a larger version of the same shield to a boss we are currently working on, and that we will be adding in our next and first big update! Let us know what you think, and if there are any topics that you would like us to write about in out future devlogs. Remember, we will be posting every Friday for the foreseeable future!